During our round-the-world trip, we often have rented cars to travel in different countries. I am a big proponent of public transportation, but with four travelers, it often is cheaper to have a rental car than to buy tickets for each one of us. Plus, a rental car provides flexibility. In Japan, however, we used the train system to travel, and it was a great decision for our family. 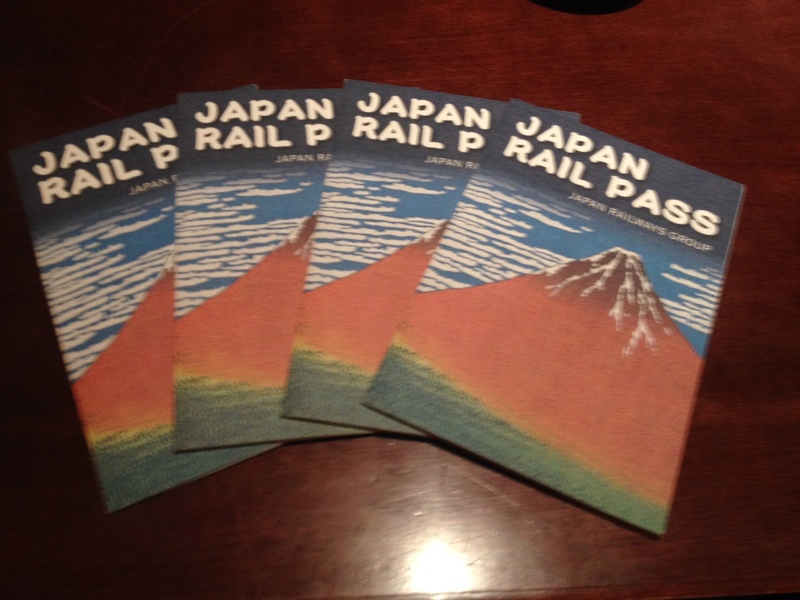 We purchased a Japan Rail Pass, which you must buy outside of Japan, and it allowed us to travel between major cities such as Tokyo, Kyoto, and Hiroshima. At times, such as in Hiroshima, the JR Pass allowed us to travel on buses, and in Tokyo, we used our JR Pass on many subway lines. We also used the JR Pass to travel by monorail to Tokyo’s Narita Airport for our departing flight. It was well worth the expense and saved us considerable time and money. 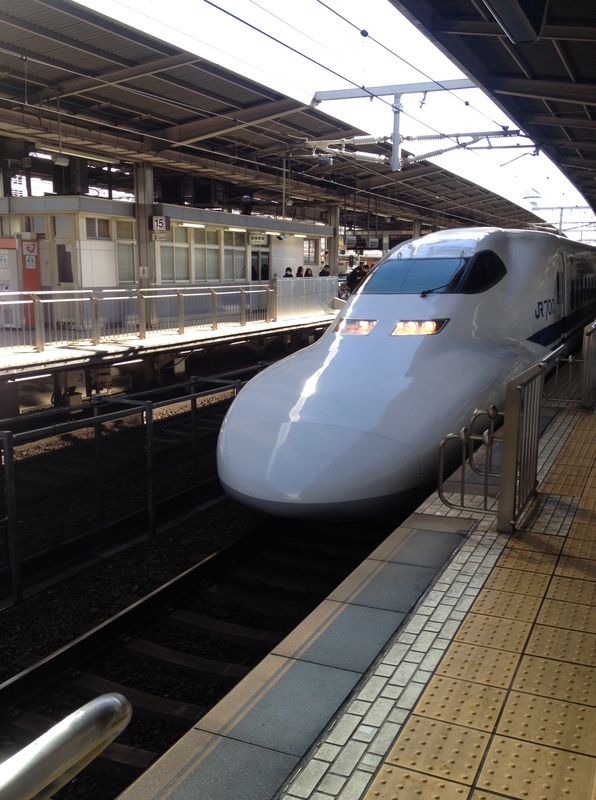 While the bullet trains are part of the rail system, they deserve special mention. All four of us are big fans of the bullet trains! We loved the fast and smooth rides as we traveled around the country. Here’s a tip: if you arrive at a station with enough time, you may stop by a ticket office and get a reserved seat on the bullet train, which we did on a number of occasions. If you are rushing to make a train, which you can be sure will depart right on time, then you can ride in certain cars without a reserved seat. We did this a number of times, and it was just as comfortable. During our stay at the Apple House in Kyoto (a house we highly recommend with a wonderful host, Hiroko James,), we used two bicycles that Hiroko provided and rented two more bikes. 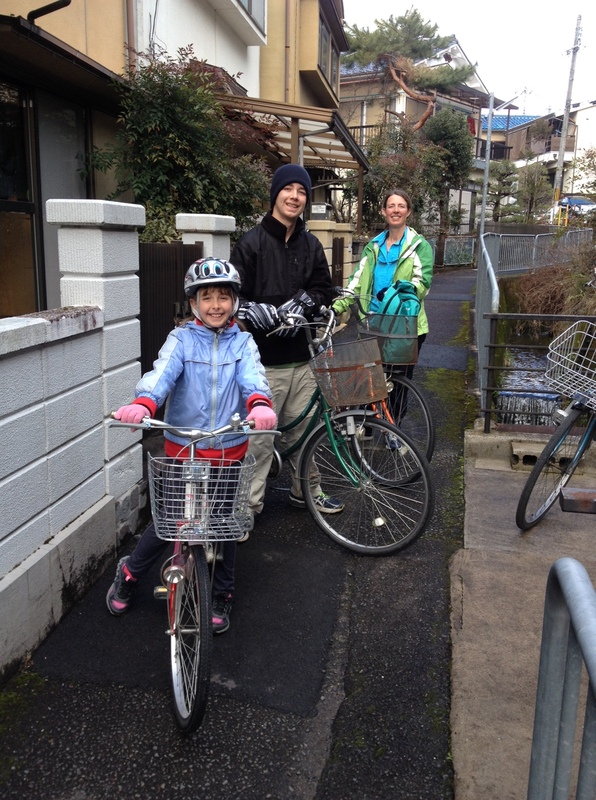 We pedaled our way around Kyoto, which was both good exercise and a fantastic way to see the city. It is easy to park a bike nearly anywhere in Kyoto. In many cases, you can simply park outside a building on the sidewalk with other bikes, or you may use bicycle parking stations located throughout the city. 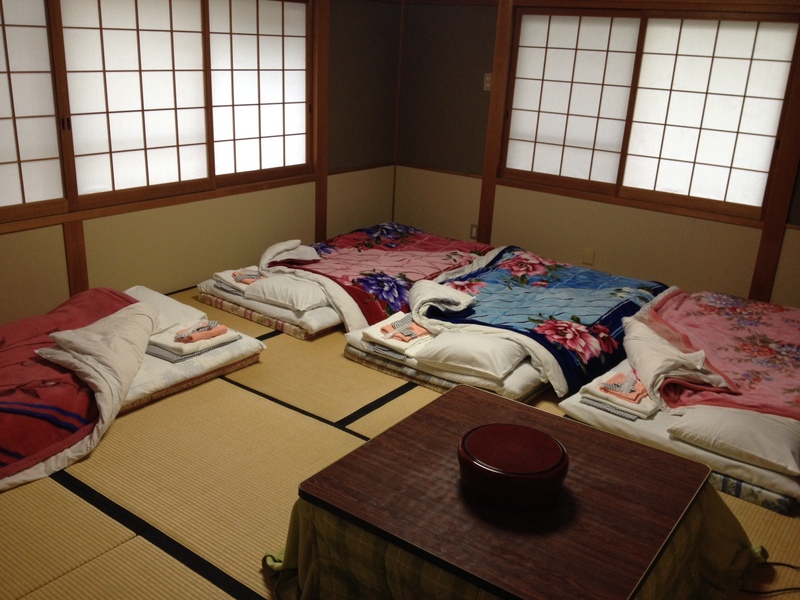 Thankfully, we were able to stay at places with traditional features such as tatami (straw mats), futon (sleeping mattresses), shoji (sliding doors), and sento (Japanese baths). Loved them! We learned about samurai, military nobility of feudal Japan, who are not to be confused with ninja, more mercenary fighters. 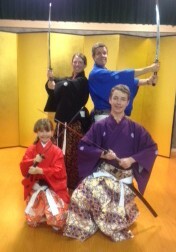 We had a great time at Samurai Kembo in Kyoto. It’s a bit expensive, but if you have a chance to go, I encourage you to do it. We are glad we did! 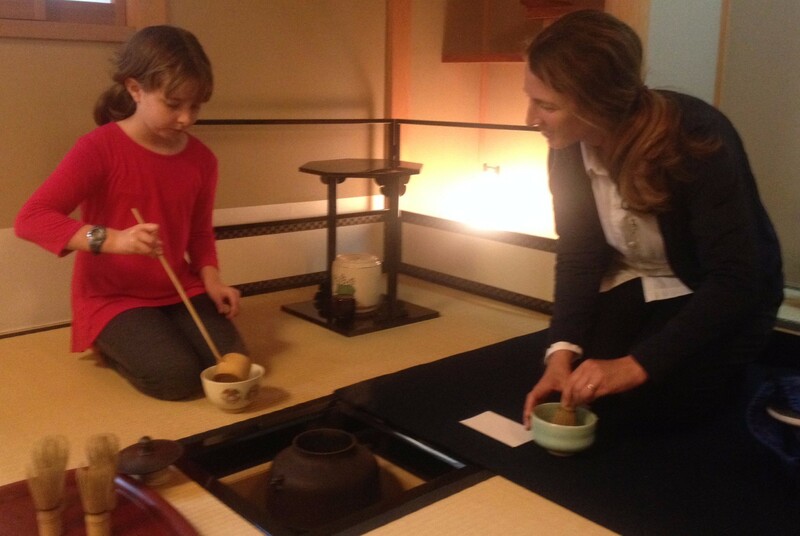 Thanks to my wife, Lisa, who took the lead in organizing and booking our Japanese trip, we enjoyed special experiences of the Japanese Tea Ceremony and Kimono. 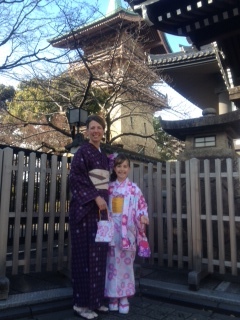 All four of us participated in a tea ceremony, and in another adventure, Lisa and our daughter, Rachel, were dressed in Kimono. I have written in a previous blog post about our trip to Hiroshima, which was chilling and moving, and I am grateful to learn more about this part of Japan’s history. Japan’s history, of course, is much, much longer, wider, and deeper than World War II, and I loved learning more about Japanese history with special attention to its religious history. If there is a way to enhance life through automation, I think the Japanese have found it. 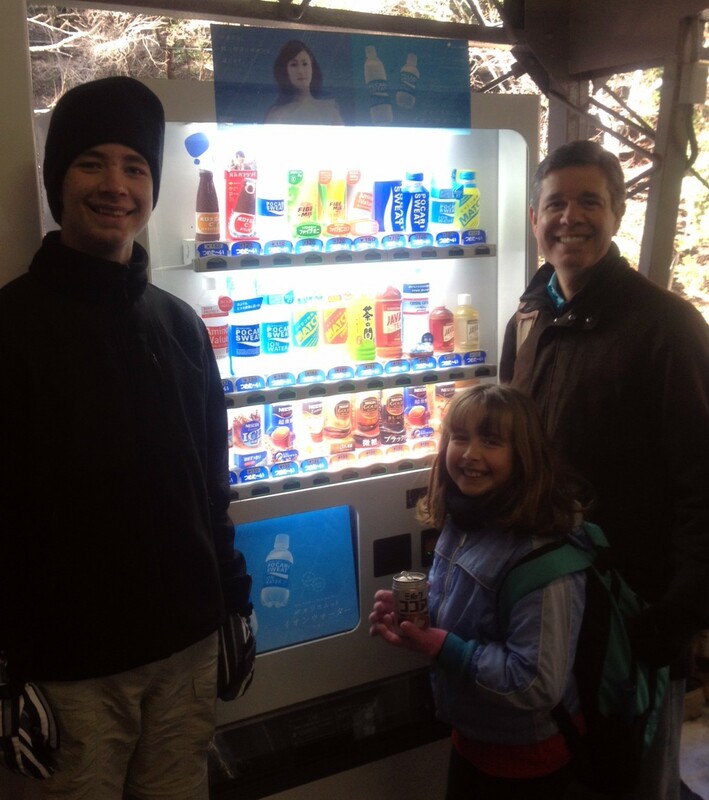 We loved the ubiquitous vending machines, which dispensed both hot and cold drinks from the same machine. Some vending machines will even scan your body and suggest the drink you should select. While the vending machines were fun and nice, the Japanese toilets were the best machine by far! 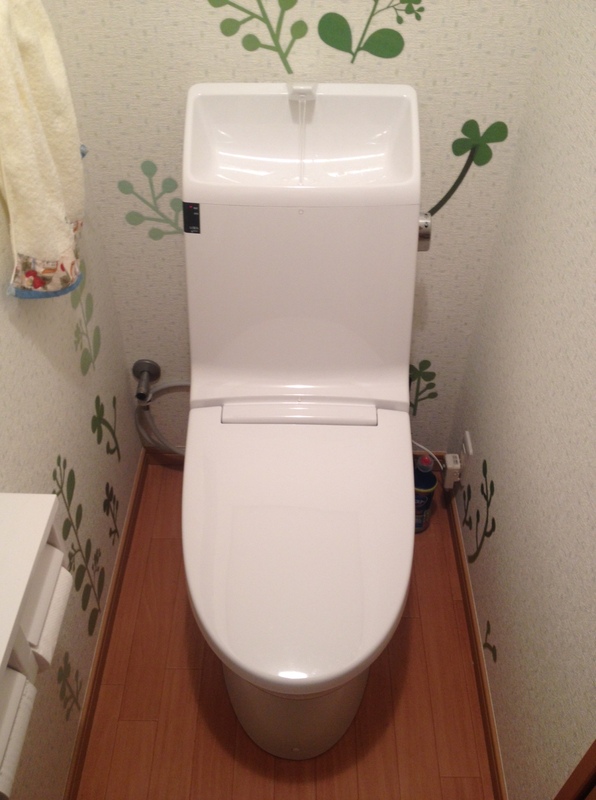 With a number of features such as heated seats and built in warm-water bidet functions, Japanese toilets are the best I have ever encountered. We are trying to determine how we can have one installed in our home in the United States. 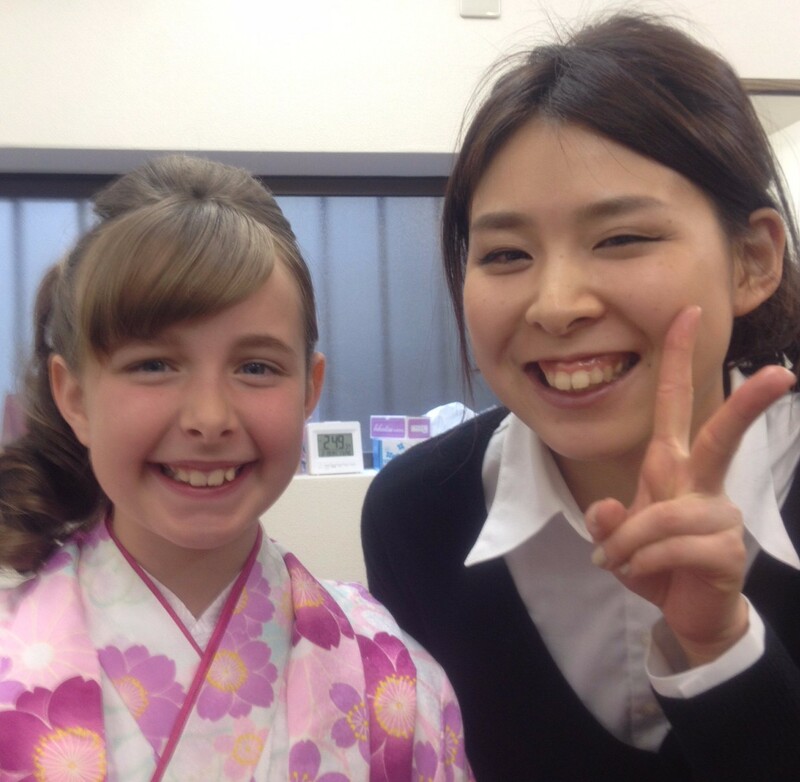 We fell in love with Japanese people. 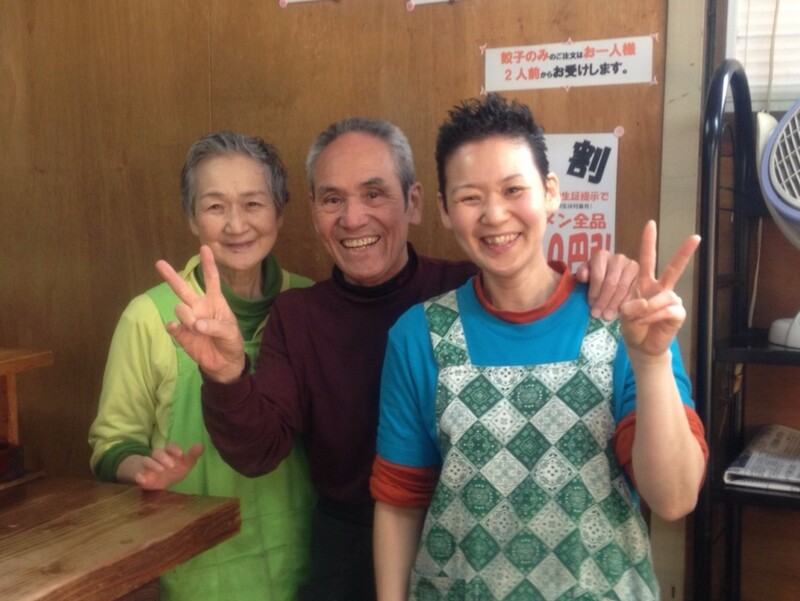 We left Japan with new friends who showered us with kindness: Hiroko James, Naoto Nakamura, and Ryuichi Tsubuku. We also were treated with kindness by countless people such as fellow passengers on trains, workers at markets, officials at train stations, and one dear man who took about fifteen minutes to walk us through streets of Tokyo to show us our destination. While we bowed and said, “Arigato, Thank you,” it was not nearly enough to convey our true gratitude for their kindness. 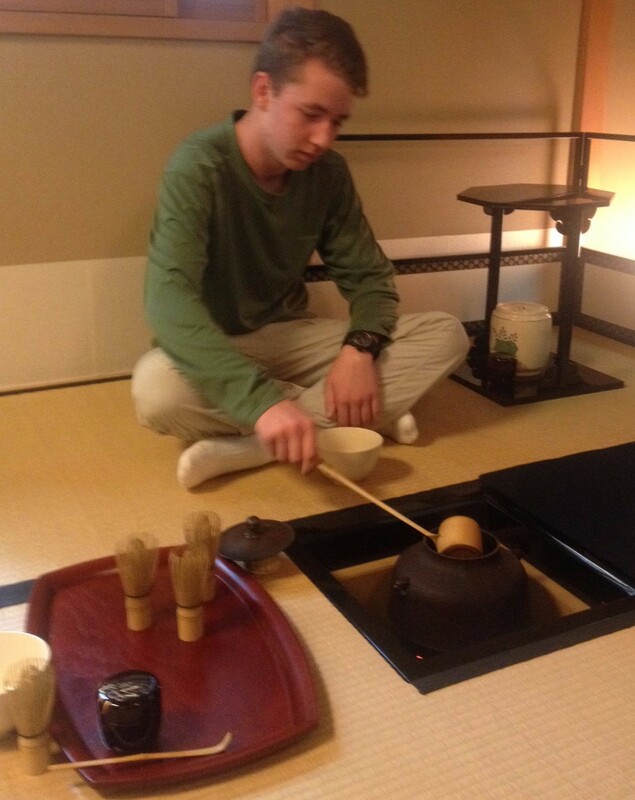 This entry was posted in Family Travel, Japan, Travel and tagged Family Travel, Japan, Travel on March 15, 2015 by Dean Allen. 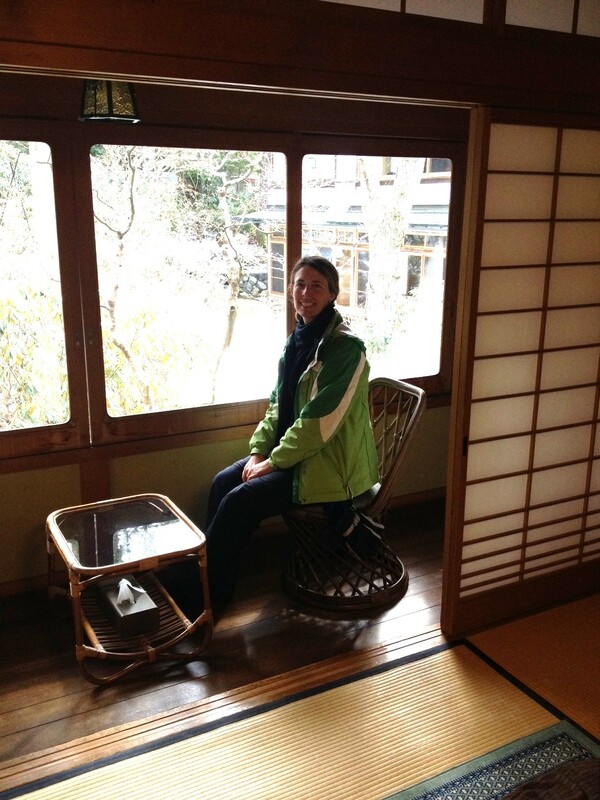 After an excellent trip on Japan’s amazing train system, we rode the funicular up Mount Koya to Koyasan. February temperatures were cold, and snow covered the ground. Koyasan was founded 1200 years ago by the Buddhist priest Kukai who was posthumously known as Kobu Daishi, and it remains an active monastic center in Esoteric Buddhism. Many of the temples receive guests in a Shukubo, an accommodation that is part of their activities, and we stayed at Shukubo Eko-in Temple. The temple grounds are peaceful, and our accommodations were excellent. We appreciated many traditional Japanese details such as shoji (sliding doors), straw tatami mats on the floor, sleeping on futons, kotatsu (a low table on the floor with a heater underneath to keep your legs warm), green tea, yukata (casual robes), wearing slippers after removing our shoes, and onsen (hot baths with natural mineral water supplied from the Koyasan mountains). 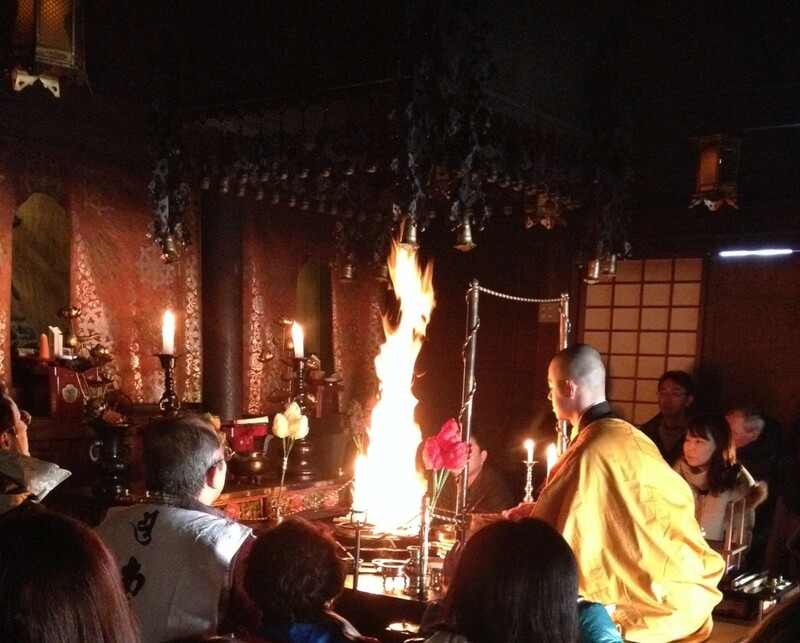 Guests are invited to participate in the temple’s services, and we joined monks and other guests in an evening meditation service, which they graciously led in English as well as Japanese. As we meditated, I could see my breath in the cold air of the temple. The following morning, we attended the main morning service and a Goma Fire Ritual, which is believed to have cleansing effects physically and spiritually. 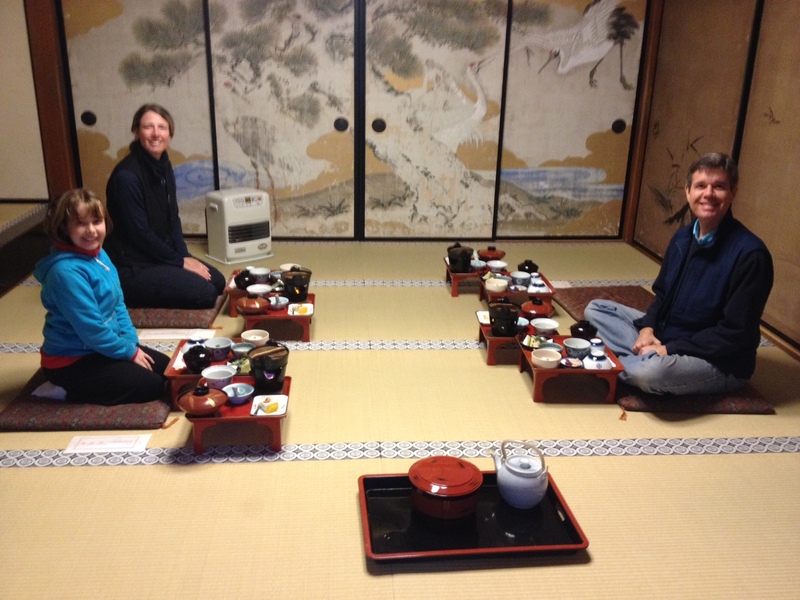 The delicious food was Syojin Ryori, Buddhist vegetarian cuisine, and we were served on trays in a private dining room. One of my highlights was sitting with my children in worship experiences that were very different from those they have known in our Christian church. They noted both similarities (candles, sacred books, prayers, monetary offerings) and differences (sitting on the floor, a drum and gong, food on the altar, Buddhist monks). One of my hopes in our round-the-world adventure is to allow our children to experience things that are both similar to and different from their regular lives — and to find that good things occur in a variety of places. I think that happened at Shukubo Eko-in Temple. 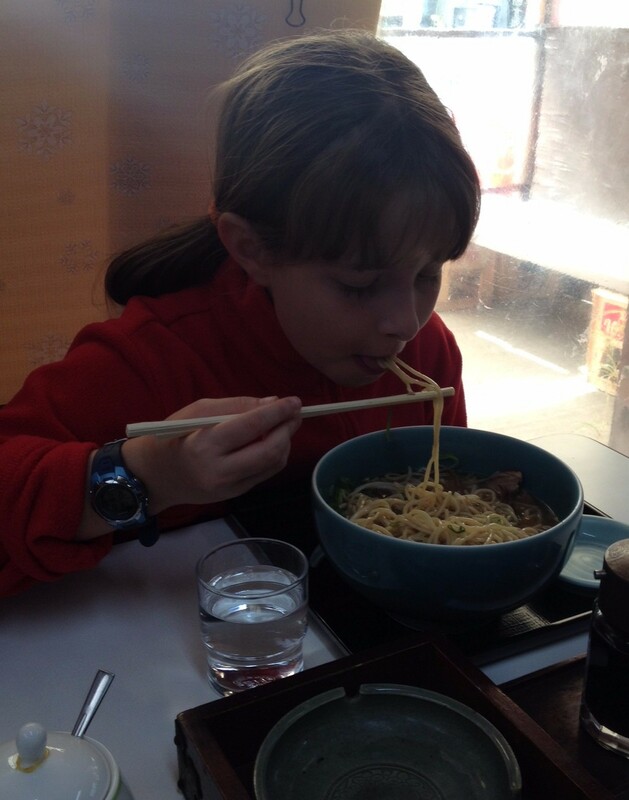 This entry was posted in Family Travel, Japan, Travel and tagged Family Travel, Japan, Travel on March 9, 2015 by Dean Allen. While traveling with our children during our family sabbatical, we have combined fun and entertaining activities with enriching, educational opportunities. During our travel in Japan, we visited Hiroshima, the location of the first atomic bombing on 6 August 1945. At that time, Hiroshima was a city of 350,000. After arriving, we made our way to the Hiroshima Peace Memorial Park. We first went to the A-Bomb Dome, a concrete and metal building near the hypocenter that was severely damaged but still standing after the bombing. The building’s remains serve now as a silent memorial, and it is a gripping place to visit. Next, we walked through the park to the Peace Flame, which was lighted in 1964 and serves a double purpose. The flame is a memorial to bombing victims, and it will remain burning until nuclear weapons are eliminated from the earth. The atmosphere is quiet and somber and provides a helpful space both to remember the devastation and to reflect on the decision to drop the bomb. After several minutes, we went inside the Hiroshima Peace Memorial Museum. Much of the museum is undergoing renovations, and we were not able to see the portion covering history leading to the bombing. Our tour began with the bombing itself, and this was quite jarring. The room includes a scale model of Hiroshima showing the detonation point about 600 meters (about 1800 feet) above the ground and the destruction inflicted across the city. Exhibits include tattered and burned clothing, twisted metal, charred roof tiles, and photos of physical maladies endured by survivors. An audio guide (well worth renting) includes information on victims, including many children making their way to school at the time of the bombing, and survivors who searched for them during the days after the blast. The museum, like other memorials to victims of violence or suffering, is unsettling but helpful by contextualizing the era and encouraging visitors to consider lessons they may learn. Our family left the memorial park in quiet and later discussed our reflections after some time had passed. Before departing Hiroshima, we rode a bus around the city (included as part of our Japan Rail pass), which allowed us to see gleaming buildings and a modern city rebuilt after the war. The juxtaposition of destruction at the memorial park and a modern city teeming with life was a helpful reminder of the human spirit. 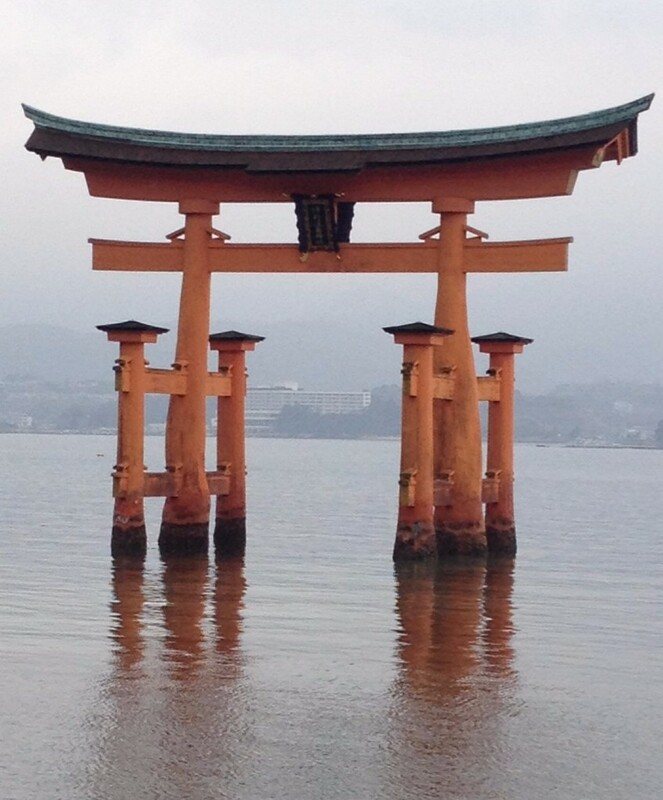 This entry was posted in Family Travel, Hiroshima, Japan, Travel on February 27, 2015 by Dean Allen. 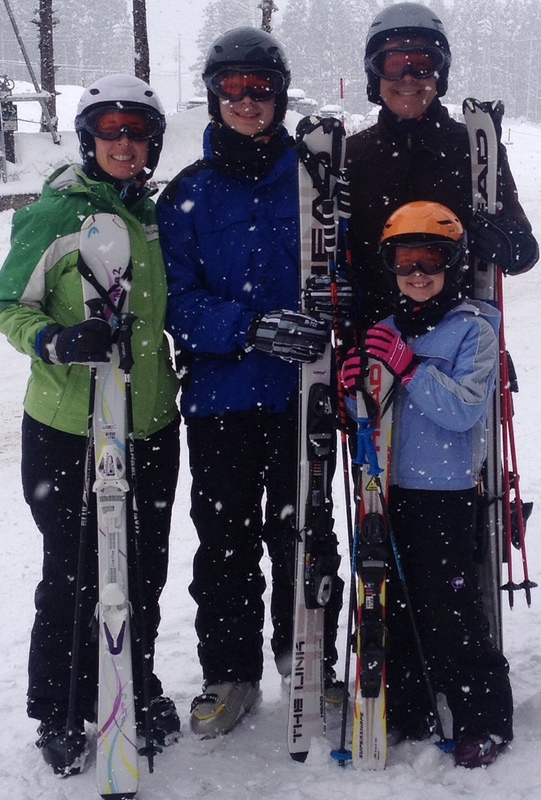 Before our children, Jonathan and Rachel, were born, my wife, Lisa, and I loved to go snow skiing. One of the many joys of living in New England for a dozen years was easy access to the slopes of Vermont, New Hampshire, and Maine. While Lisa was pregnant with our first child, we decided to skip a season of skiing, and before we knew it, fifteen years had passed since we hit the slopes. We rented a ski-in, ski-out apartment (a first for us, which was surprisingly affordable) at Hakuba Goryu Ski Area. We rented our equipment (which you don’t easily pack while travelling around the world), signed up for a family ski lesson on our first day, and began a wonderful time. The conditions were incredible! Several feet of snow blanketed the ground when we arrived, about a foot of new snow fell during our first night, and powder was plentiful. We told our children not to expect such great skiing conditions every time they ski in the future. Workers were wonderful with our children, public announcements were made in both Japanese and English, we had fun shopping in a Japanese market, and our time on the slopes went even better than we could have imagined. 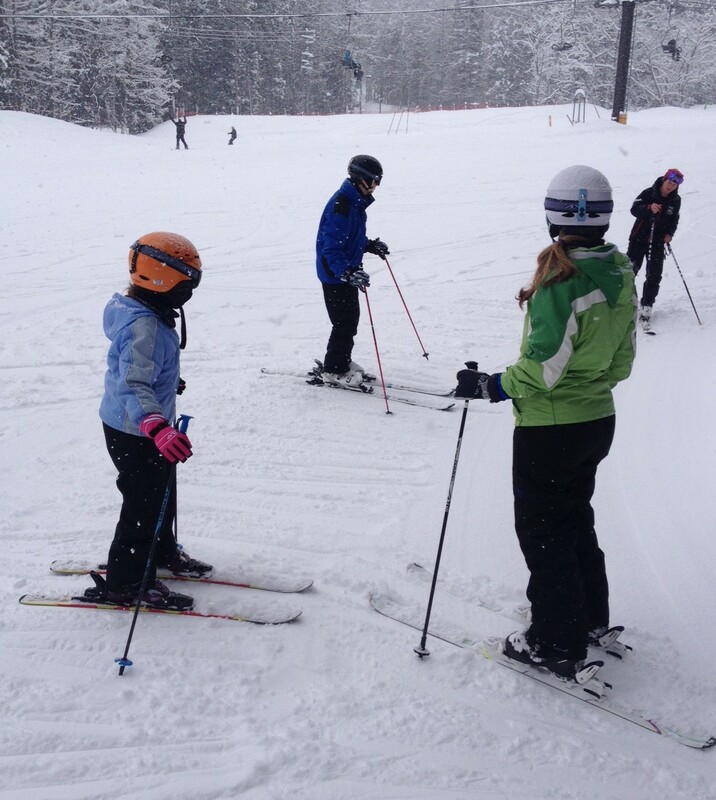 Both of our children learned something new, and they are now very good skiers. 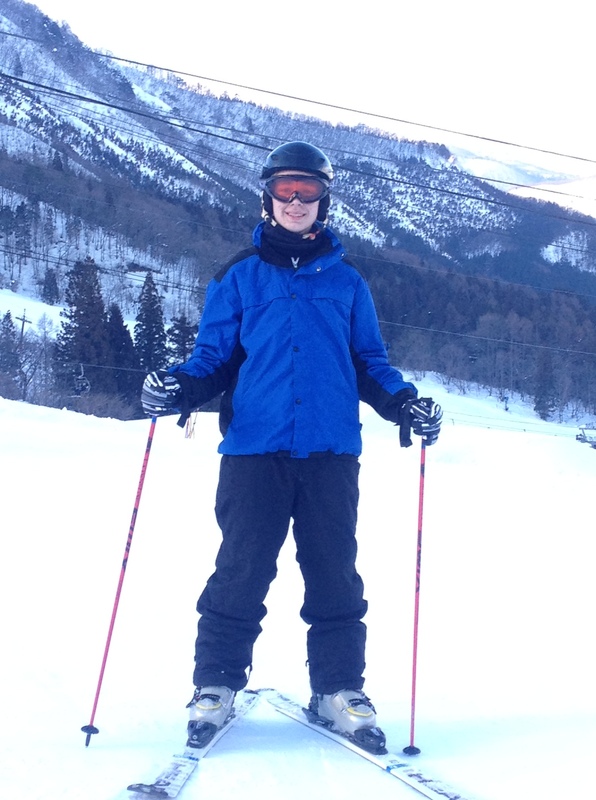 Rachel enjoyed an obstacle course on skis, and Jonathan ventured to the top of the mountain and skied all the way down! Lisa and I became reacquainted with skiing, and we realized that we still can do it — and we still love it. And, most importantly, our family created memories that will last a lifetime. Now, we are talking about plans for our next skiing adventure. 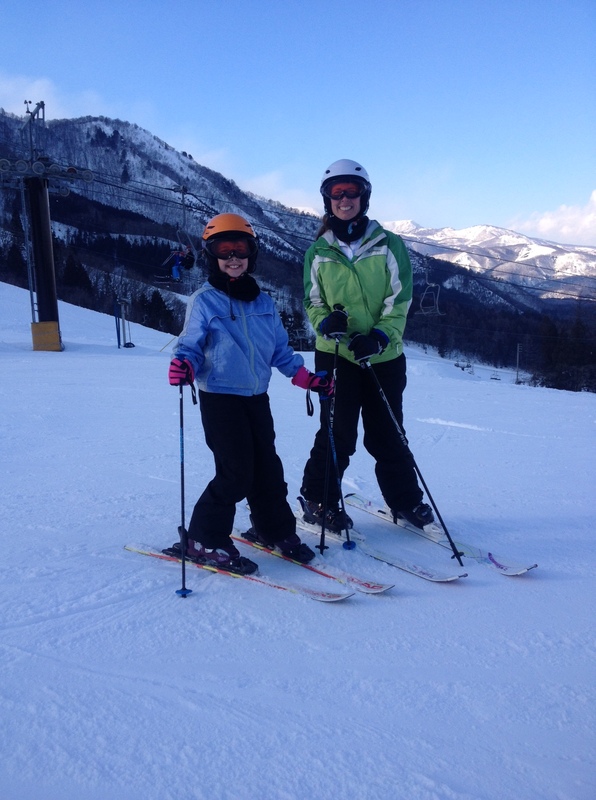 This entry was posted in Family Travel, Japan, Skiing, Travel and tagged Family Travel, Japan, Skiing, Travel on February 26, 2015 by Dean Allen. When the alarm sounded at 1:30 AM, the street outside our Tokyo apartment was quiet. After having coffee and toast, my wife and I woke our children around 2:00 to get ready to travel to Tsukiji, the world-famous fish market. We found a taxi around 2:30 and twenty minutes later, we met Mr. Naoto Nakamura, our excellent guide for a wonderful tour of Tsukiji. 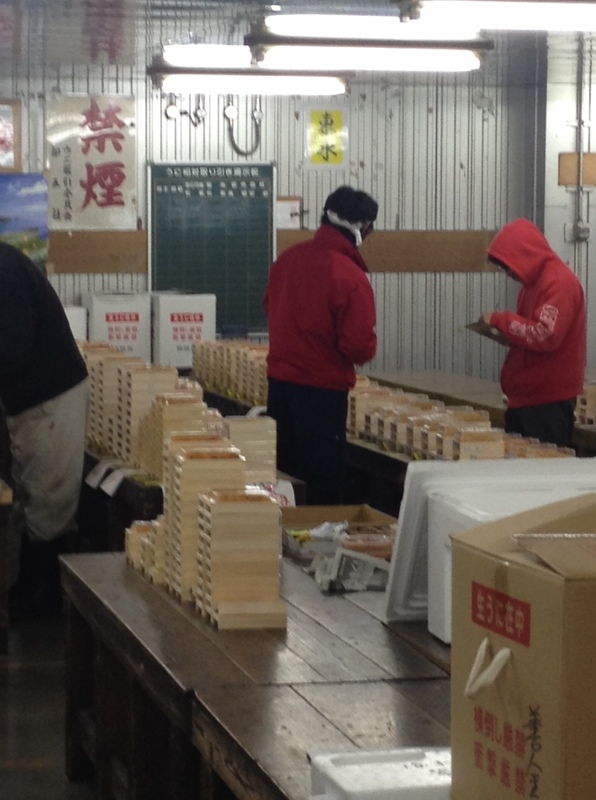 If you consult lists of must-see things to do while in Tokyo, you will find “Tsukiji Tuna Auction” on nearly every list. Tsukiji is said to be the world’s largest fish market, and 50,000 people come here six days a week to buy and sell seafood and produce. And, eager tourists wander the market to glimpse the amazing spectacle. Rather than wander, however, we were guided by a true expert. 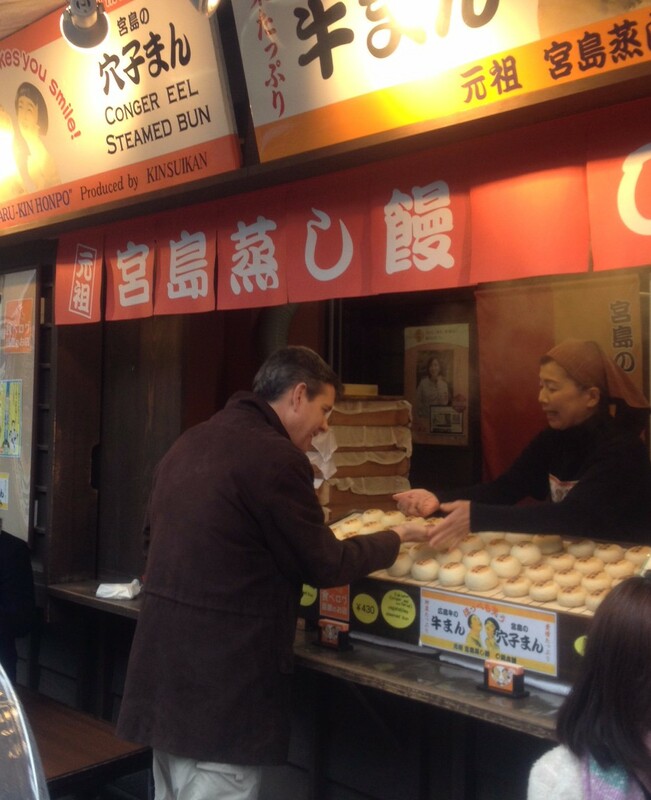 Thanks to Mr. Nakamura (or Nick as he asked us to call him), who worked at the market for many years and now leads early-morning tours of Tsukiji, we saw amazing sights and learned previously unknown facts about seafood, auctions, and commerce in this part of Tokyo. The highlight of the market is the tuna auction, and we saw both fresh and frozen tuna ready for auction. 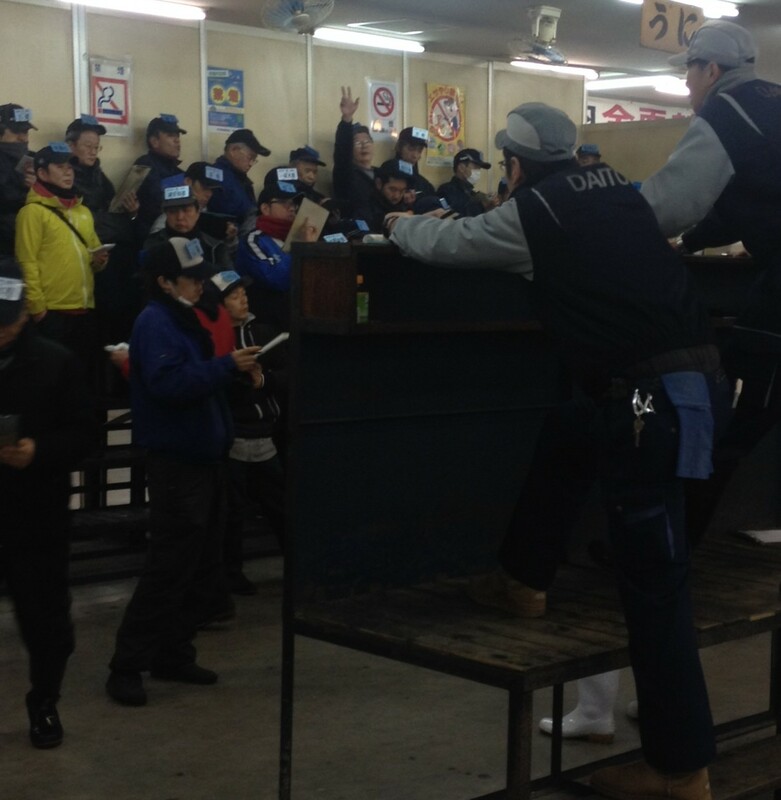 The largest tuna up for auction on the day of our visit weighed 164 kilograms (about 362 pounds). Prior to the auctions, bidders inspect the fish to evaluate quality and determine the price they will pay as they seek to satisfy their customers. 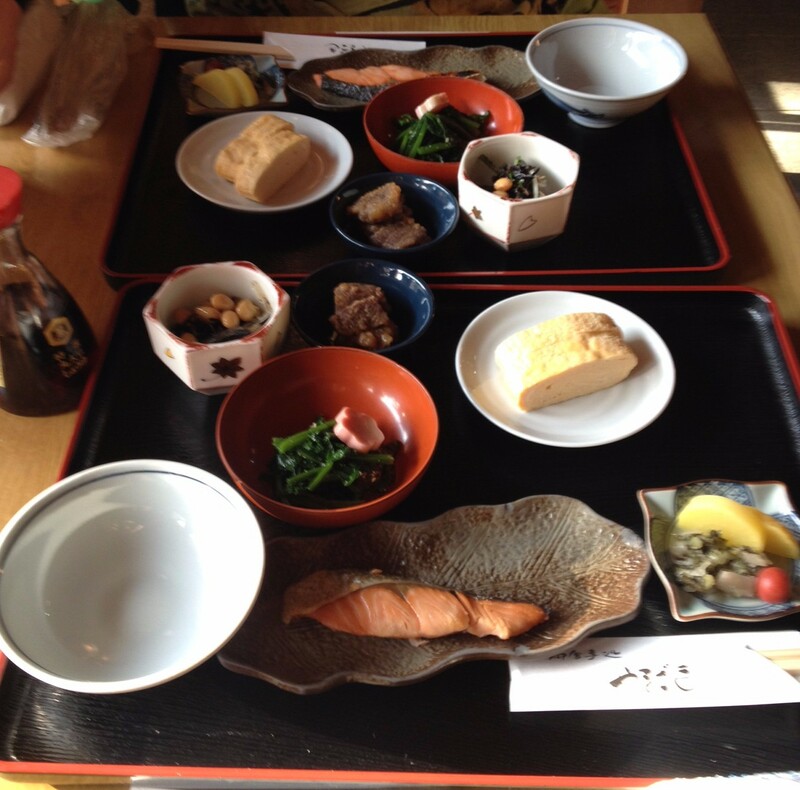 Besides the tuna, there are all manner of seafood including umi (sea urchin, a particular delicacy in Japan), eels, flounder, squid, and many more. Fugu or blowfish (the famous or infamous Japanese fish that can be deadly if you eat a toxic portion) is for sale, and Nick says it tastes like chicken. Hundreds of kinds of seafood from all around the world are sold at Tsukiji. Although our tour began at 3:00 AM, the market was abuzz with activity. Trucks were arriving with loads of fish, fork lifts were zipping around delivering seafood and produce, and workers prepared for auctions and filled orders for customers. The activity occurs at such a fever pitch that, according to Nick, the market averages more than one traffic accident each day it is opened. As we walked around the market between 3:00 and 5:00 AM with bleary eyes, some workers were pausing for their lunch, having already worked the bulk of their day. Activity slows dramatically by 9:00 AM, and nearly everything is finished by 11:00. 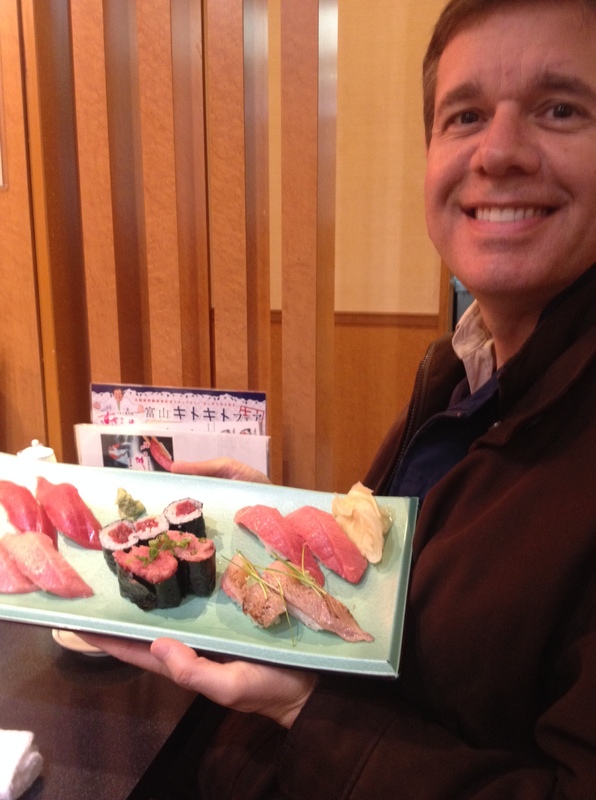 After a wonderful tour, Nick provided suggestions for a sushi restaurant very close to the market. He took us to the door, introduced us to the staff, and helped us order. Then, he bade us farewell as we entered to have sushi for breakfast. The fish was delicious, the green tea plentiful, the wasabi pungent, and the pickled ginger spicy. It was a wonderful ending to a fantastic tour! 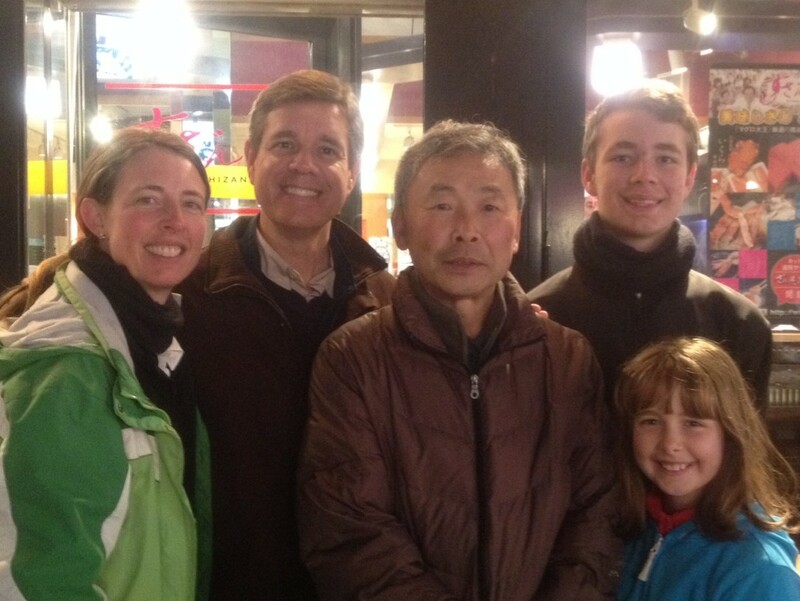 Our family will long remember our sushi breakfast, our tour of Tsukiji, and our fantastic morning with Mr. Naoto Nakamura. 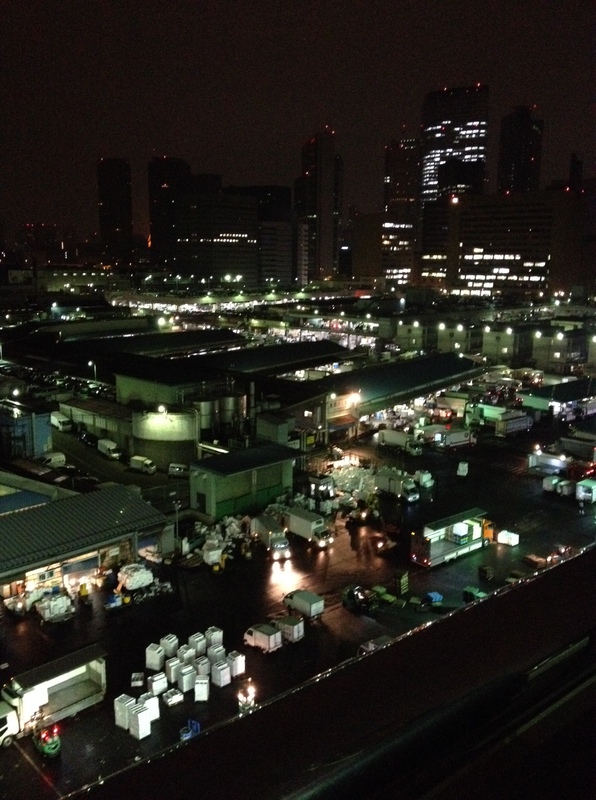 We returned to our apartment very, very glad we experienced Tsukiji. And, after a nap, we were ready to explore more of Tokyo. Was it early to rise? Yes. Was it worth it? Absolutely, yes! 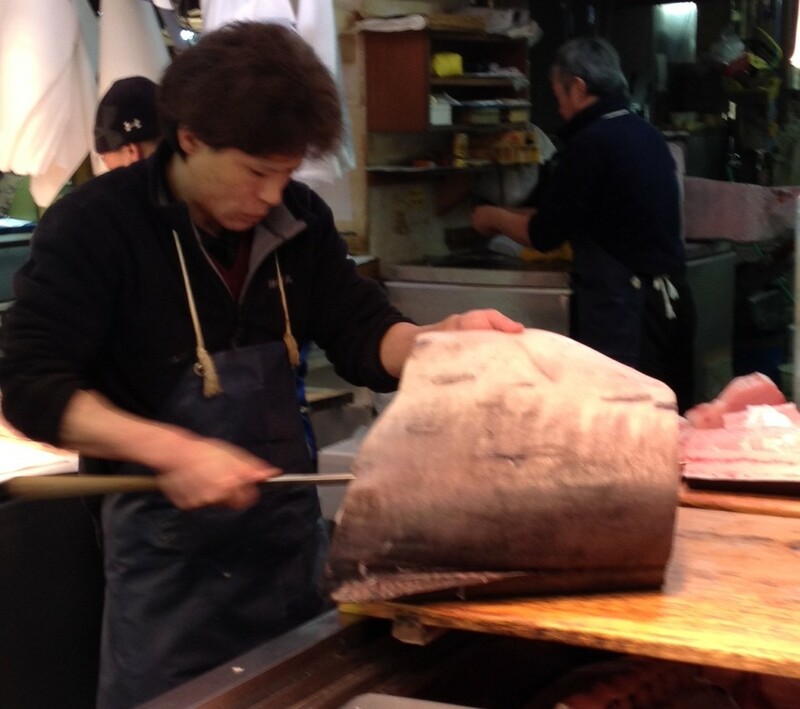 This entry was posted in Family Travel, Japan, Tokyo, Travel, Tsukiji Fish Market and tagged Family Travel, Japan, Tokyo, Travel, Tsukiji Fish Market on February 24, 2015 by Dean Allen.